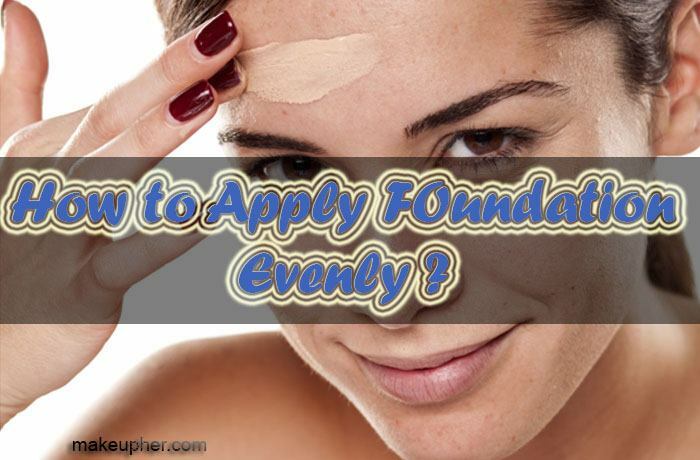 Home » Resources » How to Apply Foundation Evenly? Have you ever spent some time trying to apply your foundation properly only to find that your face looks like you are wearing a mask? Cakey foundation and foundation that creases in the wrong places will look worse than no makeup at all. This is why you need to learn how to apply foundation evenly if you want to have a flawless look. The best thing that you can do to have an even and flawless foundation is to understand the basic steps that you need to follow. 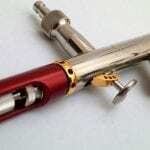 This includes the right skin preparation, the proper application and setting. Foundation will cling to any dry patches you have. This is why you need to make sure that your skin is properly moisturized before you start applying your foundation. Use a moisturizer that will absorb fast and allow it to completely hydrate your skin before moving on to the next step. A primer will even out your skin and will fill your pores creating a smooth canvas for the foundation application. Make sure that you are using a primer that is suitable for your skin type. Using the right tool will ensure that your foundation is applied evenly and that it will not crease or cake on your face. A synthetic dense brush is best if you want to know how to apply liquid foundation evenly. Make sure that the brush has a flat top. If you need to know how to apply powder foundation evenly then you will probably be better off using a sponge. Liquid foundation is great if you have oily skin but you need to make sure that it is oil free. If your skin is on the drier side, then you will choose one that has oil and will moisturize your skin. With a liquid foundation and synthetic brush you need to use the brush in swirling motion and make sure that you press the foundation into your skin. This will cover all your pores and will make your skin look even. Powder foundation is not suitable for dry skin because it can be too drying. It is however, better for oily skin because the powder finish will absorb the oils that usually make the foundation break on the skin. For powder foundation, use a damp sponge and dab on your skin pushing the foundation into the pores. Don’t use the sponge in a swiping motion, but rather press on your skin to make sure that you are getting the best coverage. You need to make sure that your foundation is perfectly set or else it will not stay on your face the way you want it. Loose powder is perfect for setting your liquid foundation especially if you don’t need extra coverage. If are after some extra coverage then you use compact powder but that might not be necessary if you are already using powder foundation. Learning how to apply foundation evenly will ensure that it will look flawless throughout the day. Your foundation will not transfer or melt and you will look perfect all the time.